The HHS mandate requiring religious institutions to pay for contraception, abortion and sterilizations of women and men (are against the religious institution’s beliefs and thus makes the institution an accessory to another’s sin) derives from ObamaCare. 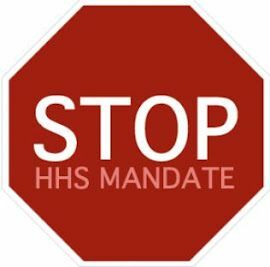 Without ObamaCare, the HHS mandate is not born. The Assault on Religious Freedom from the HHS mandate’s requirements which force religious institutions to be an accessory to another’s sin, prohibits the free exercise of religion. This violates Amendment 1 of the U.S. Constitution: “Congress shall make no law respecting an establishment of religion, or prohibiting the free exercise thereof; or abridging the freedom of speech, or of the press; or the right of the people peaceably to assemble, and to petition the Government for a redress of grievances.” Violating the free exercise of religion is equal to the HHS mandate, which is then equal to ObamaCare. When the free exercise of religion is violated by a mandate that comes from a law, then that law is Unconstitutional. Therefore, ObamaCare is unconstitutional. When a law and a mandate are prohibited in a constitution (the rules,) the law and its mandate are Illegal Law. Therefore, ObamaCare is an illegal law. The fourjustices (Alito, Kennedy, Scalia and Thomas) who found ObamaCare unconstitutional but, were out-voted are to be commended for their deductive reasoning skills and courage in holding to the truth. 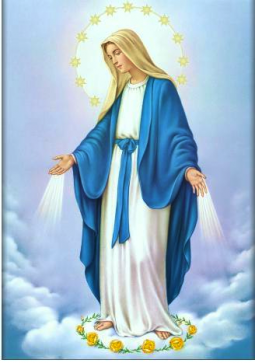 O Holy Spirit, strengthen us to defend all that is holy. O Lord, help us to love our enemies and to do good to those that hate us and to pray for those who persecute us and calumniate us.